Introducing the Patio Pup Menu – For Dogs! 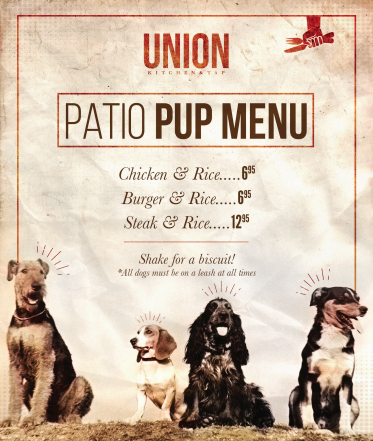 At Union Kitchen and Tap, we love your furry friends just as much as you do. We have rolled out a menu just for them! Bring your pups and grab a meal.